Actor Ving Rhames said he was a target of racial profiling earlier this year after Los Angeles police came to his home and held him at gunpoint in response to a neighbor calling 911. 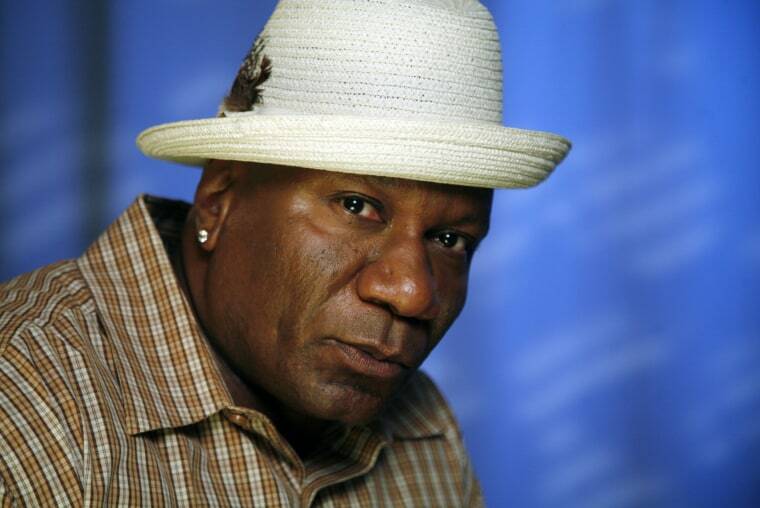 Rhames, 59, recounted Friday during a radio interview promoting "Mission: Impossible Fallout," that he was watching television in his Santa Monica home when he heard noise coming from the backyard. He said he thought it was his two English bulldogs at first — only to quickly find out it was police. "I get up, I open the door, there's a red dot pointed at my face from a 9 millimeter," Rhames said on Sirius XM's The Clay Cane Show on Friday. "And they say, 'Put up your hands.'" Santa Monica police told NBC News that their officers do not carry laser-guided service weapons. After following police instructions, one of the officers recognized Rhames because their sons went to the same school, the actor said. The officers then told him that a female neighbor had called police to report "a large black man was breaking into the house," Rhames added. The police then disclosed the neighbor's address and the actor, a sergeant and another police officer proceeded to the woman's house to confront her. She denied to them that she'd made any such call, Rhames said. Police said Sunday that the incident didn't occur earlier this year but on July 26, 2016. "In our actions responding to what would be a residential burglary, holding a potential suspect at gunpoint would not be out of the normal," Lt. Saul Rodriguez, the executive officer for Santa Monica police's media relations unit told NBC News. Rhames, who reprised his role as Luther Stickell in the newest installment of the highly successful "Mission: Impossible" franchise, expressed concern over the incident. "My problem is, as I said to them, what if it was my son, and he had a video game remote or something? And you thought it was a gun, just like you know, I don't know, Trayvon had a bag of Skittles," he said in the interview. "We responded to a call for service. The community expects and deserves that," Rodriguez said. This incident is in line with recent examples of people calling 911 to report African-Americans doing mundane, everyday things like swimming in their public community pool, being a real estate agent, checking out of an Airbnb or waiting in a Starbucks. African-American celebrities and notable athletes have not been exempt from the incidents. Last year, NBA All-Star Lebron James' Los Angeles home was vandalized with N-word graffiti and in March of this year, a video surfaced showing Milwaukee Bucks player Sterling Brown being tackled to the ground for a parking infraction. In a response to the vandalism, James told reporters last year, "It goes to show racism will always be a part of the world, a part of America."